The best way of defining your eyes is through eyeliner styles. A makeup will never be complete without an eyeliner. Do you agree? 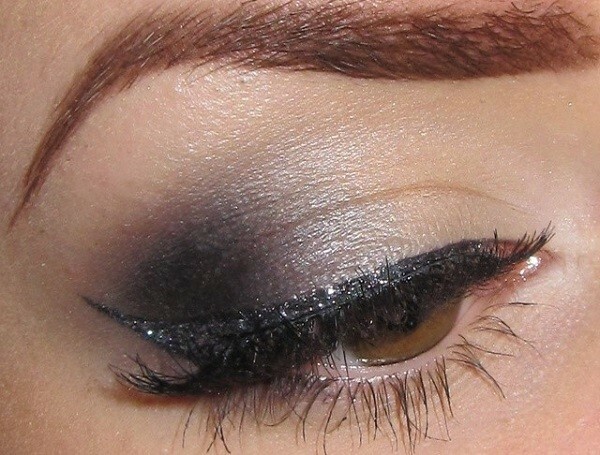 Eyeliners can boost your makeup style making you look more dramatic. At the same time, it can provide you with a beautiful face. When it comes to makeup, there are certain tricks that can be done to make you look charming and beautiful. The eyes are one of the most important features of your face. With some makeup, it can transform your natural look into something different. 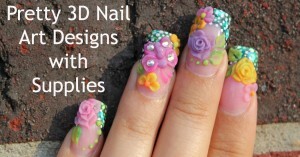 It is very important to choose reliable products in order to achieve the look that you want. The first thing to consider is to determine the right eye makeup for your face. Sometimes a small change can already create a huge difference in your look. Want to look gorgeous? Then choose the best eye makeup that suits you the best. In selecting eyeliner styles, be sure to consider your eye color, skin complexion, makeup theme and most importantly your age. For instance, older women should not wear funky eyeliner styles. 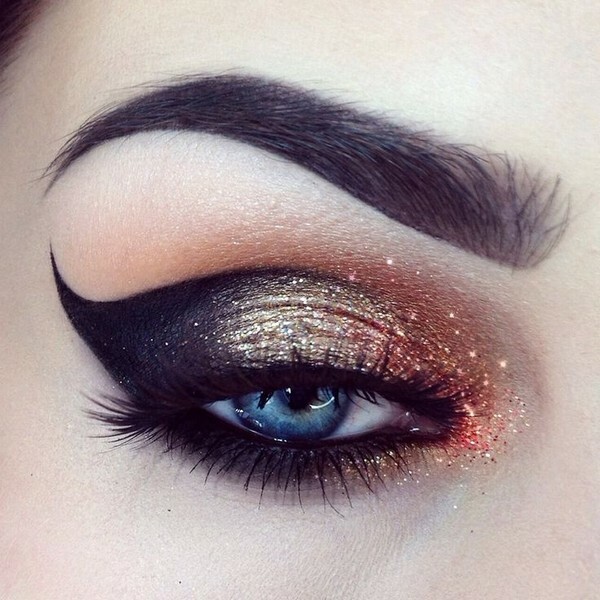 Your style must highlight the shape of your eyes. Always ensure that your eye makeup concurs with your overall makeup. Regardless if you choose a natural look or a bold style, there’s always a right style for everyone. 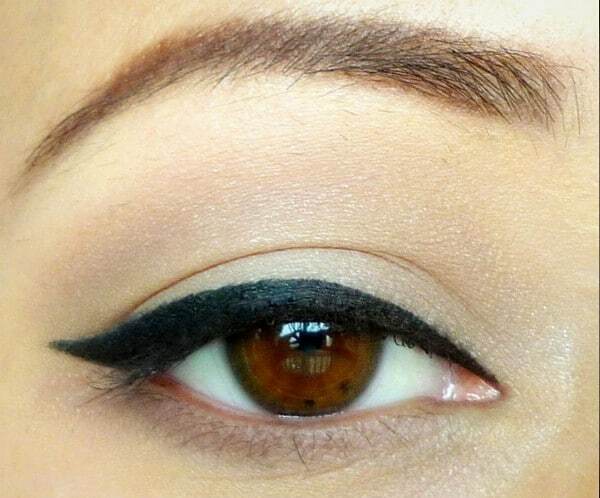 With the right eyeliner style, you can have a dramatic look. 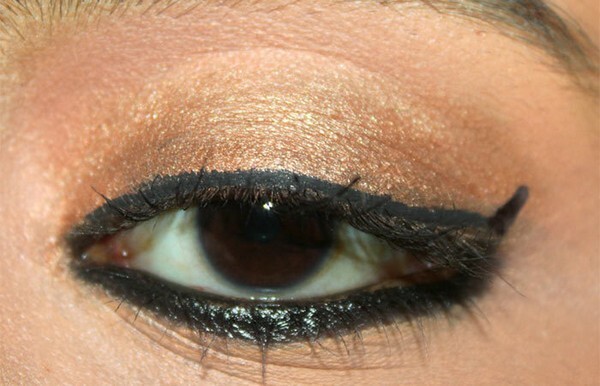 There are various styles that you can do with an eyeliner. You can create a retro look or a modern look. 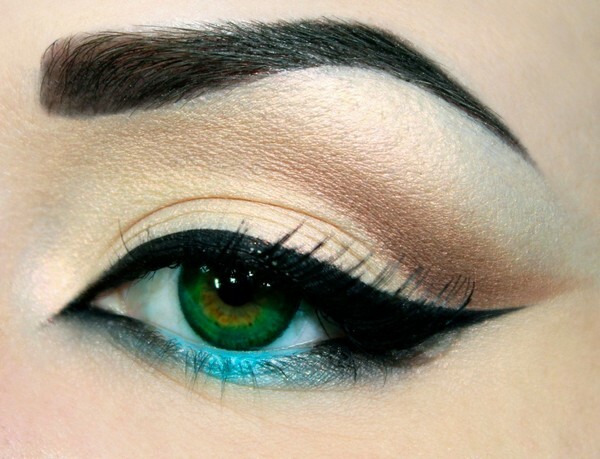 Check out these awesome eyeliner styles just for you… You’ll definitely fall in love with them! To obtain this style, simply draw a thin line on the upper eyelid and also on the lower part. Add a bit at the corner to form your cat eyeliner look. The natural style is not the same as the makeup-free look. The natural look mainly uses neutral colors. So, for your eyes, just use neutral colored eyeliner. 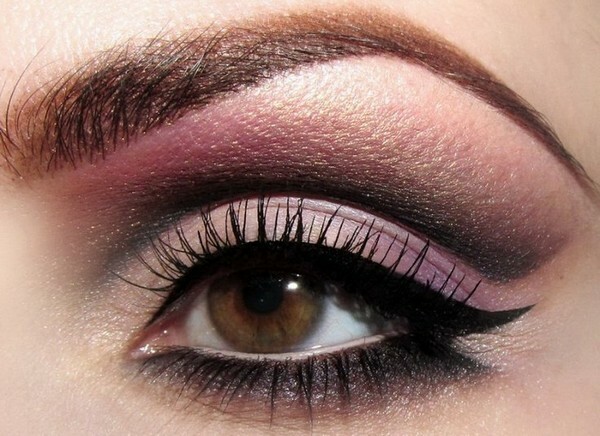 Eyeliners can make your eye look more elegant. The eyes are the windows to the soul. It is considered the most prominent part of the face. To make it look astounding, use an eyeliner. Choose an eyeliner that suits the color of your eyes. You also use the same shade for your eyeshadow. 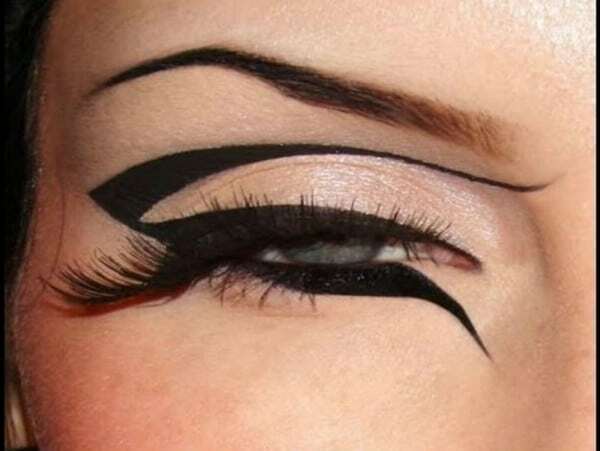 This is a perfect eyeliner style for costume parties. If you’re already a makeup expert then you can get creative by making your own style. One of the first things that people will notice is your eyes, so you should make them look attractive. Let your eyeliner do the talking. The eyeliner can make your eyes look bigger and eminent. 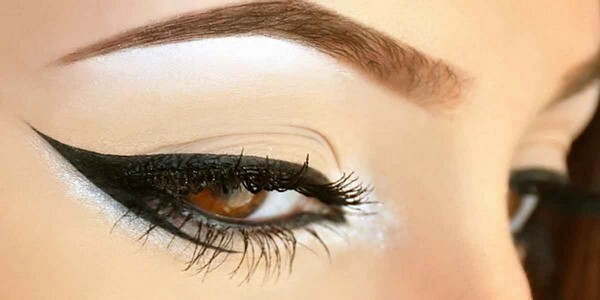 There are various ways of applying the eyeliner and it’s also very easy to learn. This style provides a bolder look to your eyes. 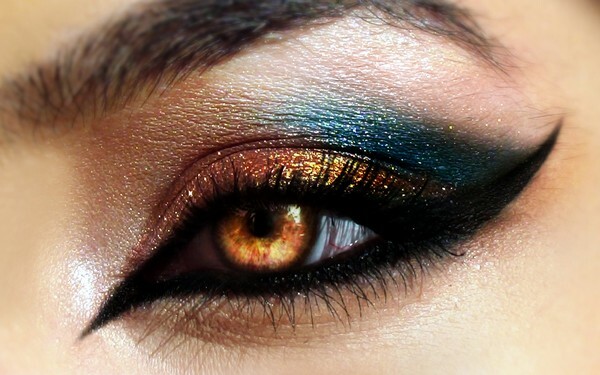 It is the best way of highlighting your eyes. 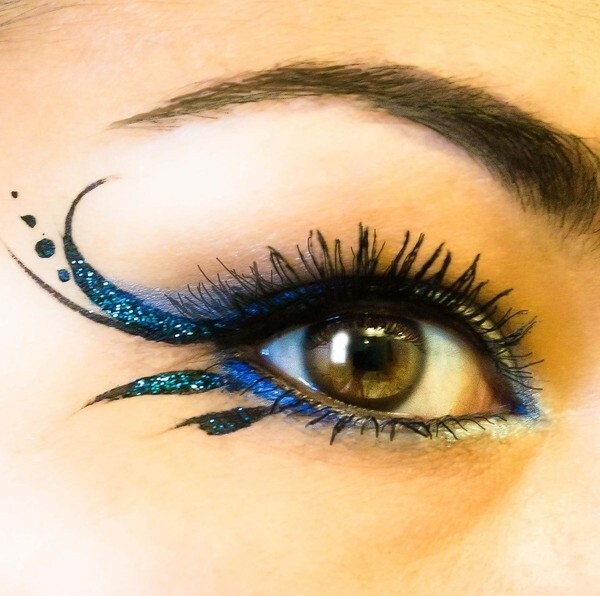 No matter what style you choose, as long as it is perfectly drawn on your eyes, it can make them look stunning. The eyeliner gives charm to your eye makeup. The natural eye line is already beautiful, however, it can look more beautiful with the right eyeliner style. 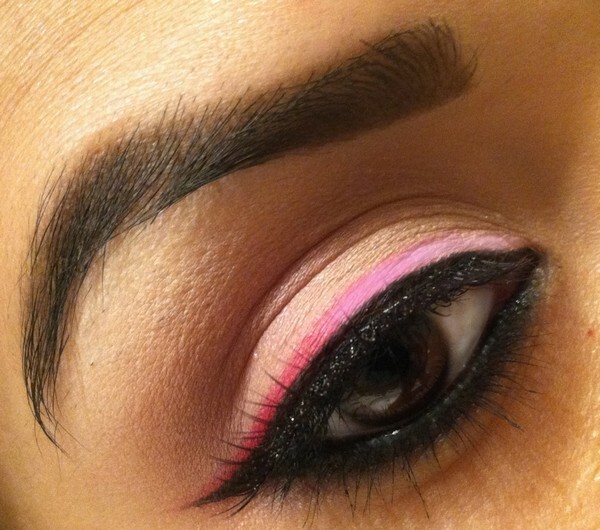 Eyeliner styles are an excellent way of increasing your beauty. Why not try this now before it gets out of style? This is the type of eyeliner style that you can wear every day. Start by applying a thin line with little strokes. Glaring and chic, a perfect style for a modern woman. 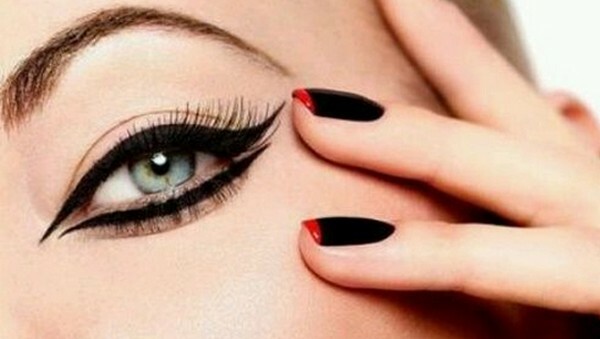 The cat eye look is one of the most well-loved styles. 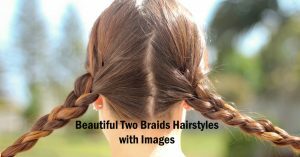 It is a versatile look that can look great in Indian eyes. If you’re one of those lucky women who have large eyelids then it can be used as a filler. This style is a combination of sharpness and smokiness. It’s simple yet glamorous. It gives more emphasis to your eyes. This style can be applied to any eye shapes. It is perfect for weddings and parties. The eyes are very expressive. It can look beautiful with an eyeliner. Opt for a style that suits you the best. Before applying your eyeliner, it would be great to determine which style you like. Want to learn this style? Then practice, practice, and practice. 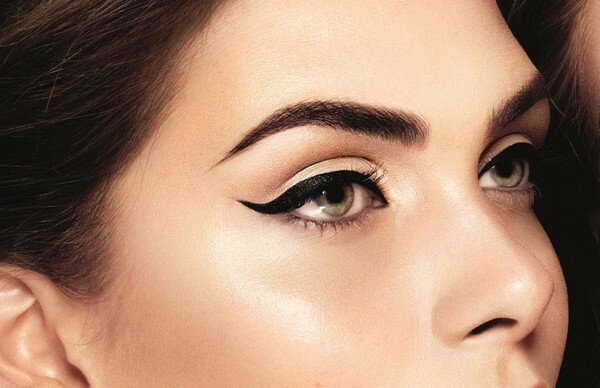 A cat eyeliner style is thicker and bolder compared to a winged eyeliner style. 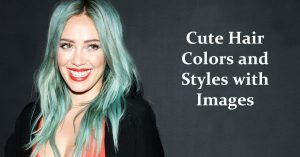 This fabulous style can be seen on runways. 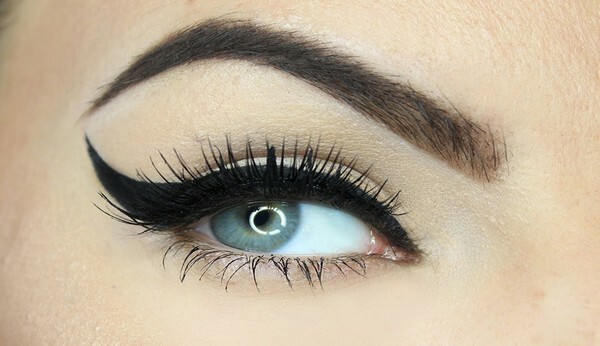 Don’t worry if you have droopy eyes, you can make them sparkle in no time by using the best eyeliner style. This is one of the simplest styles yet it looks classy. This famous style of makeup can be seen on popular celebrities of the past and present. It looks like a cat eyeliner, however, this one has a sharper look on the upper line. An eyeliner can enhance the features of your face. Even if you don’t use any other makeup as long as you use eyeliner, you can already look gorgeous. It can make your eyes look sexier. Here are the different types of eyeliners that you can use. Pencil Eyeliner – This is one of the most popular eyeliners being used. It is available in different colors. Cream Eyeliner – This one has a lighter color and can be used for an everyday style. Use it with a brush. Pen Eyeliner – This is a little bit darker compared to the pencil eyeliner. It is very easy to apply. Liquid Eyeliner – This type of eyeliner is hard to apply. You need to control your hands. However, once you become an expert, there are a lot of styles that you can do. Gel Eyeliner – It is darker and bolder, which is ideal for dramatic looks. Even if you are still a beginner, you can quickly learn how to apply it. You can enhance your look by applying a soft line or a bold stroke into your eyes. In order to make sure that you have a perfect eye makeup use a makeup mirror for a closer look. Step One. To create a smooth line, your pencil liner should have the right temperature. Step Two. Use your fingers in pulling the outer edge of your upper lash line. Step Three. Start drawing at the inner corner moving towards the outer edge of your eyelid. Step Four. 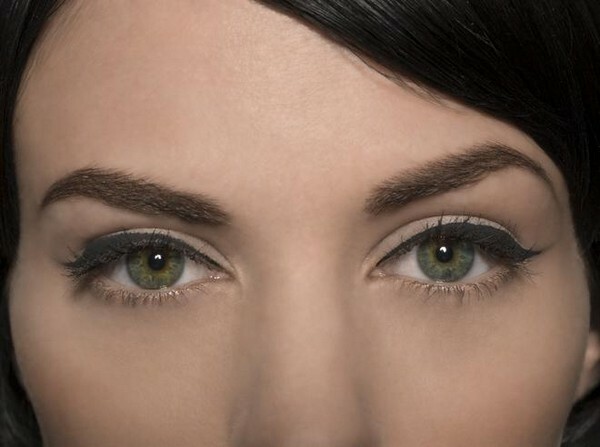 To create a natural look, line your eyes tightly. Step Five. To line your lower eyelid, pull the outer edge and start applying. Step One. Shake the bottle to make sure that it is well-mixed. Step Two. Pull the brush from the bottle. Start applying at the middle of your upper lash line moving towards the outer edge. Step Three. Fill in the gaps by applying at the inner edge of the upper lash line. Connect this line to the first one to create a solid line. Step Four. 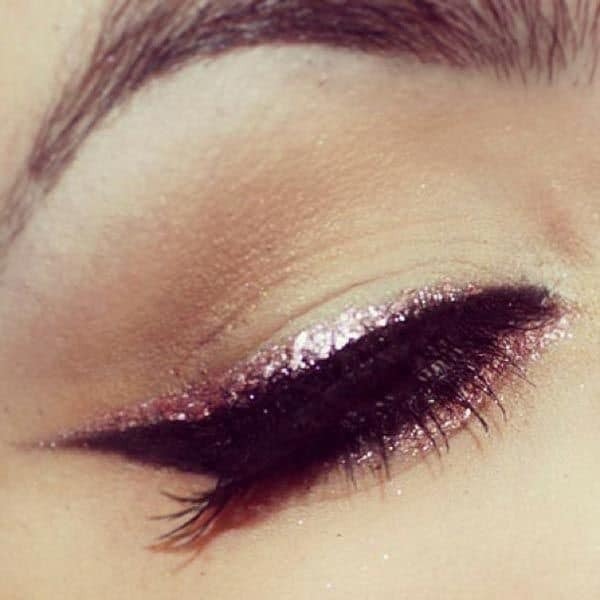 For a winged look, just apply some liner on the outer lash line upwards. Step One. Dip your liner brush into your gel liner. Make sure that only the tip is coated. Step Two. Start applying at the inner and outer corners moving towards the middle. Step Three. Fill the gap at the center. With these eyeliner styles, your eyes will never be dull again. 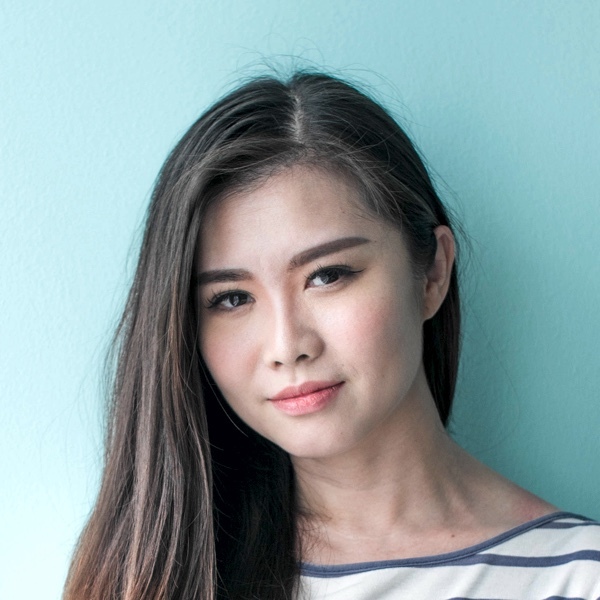 With pencil eyeliner, you can easily draw bolder lines. A pen eyeliner is simple and hassle-free. On the other hand, the liquid eyeliner is excellent for fine lines and absolute precision. Whilst, a gel eyeliner is ideal for smudging. You can experiment any of them and have fun. Don’t forget to apply your base, either a foundation, primer or eyeshadow. Afterward, apply a concealer to keep your eye makeup in place. What type of eye makeup do you usually do? 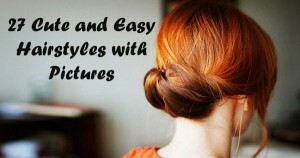 Have you used any of these styles for your prom or any special events? An excellent makeup can make you beautiful or can turn you into a cartoon character.